It’s that magical time of year again—a time when the George Clooneys and Brad Pitts of the world descend upon Toronto to bestow some celebrity sizzle on us. The Toronto International Film Festival kicks off on the 4th of September, 2014 and runs until the 14th. But it’s not all about celebrity sightings. We cinephiles know that the most important thing is—yes, that’s right—the films. The NFB will be showing 7 films at TIFF this year: 2 features, 3 shorts, and 2 restored 3D classics! On top of that, there are a few shorts showing at TIFF that were made with support from our Filmmaker Assistance Program. Read on for the details below, and peep a couple of enticing trailers, too. Acclaimed auteur Alanis Obomsawin (Kanehsatake: 270 years of Resistance) returns with her latest feature documentary, Trick or Treaty?, in which a group of First Nations leaders trace the history of their ancestors since the signing of Treaty no. 9 in 1905. There has always been disagreement over the extent to which the treaty allows for government control and take-over of historically native lands. The First Nations leaders profiled in this doc are fighting for respect for and protection of their lands and their natural resources, and the right to hunt and fish so that their societies can prosper. Live action interviews and re-creations of historical events are intercut with a group of talking stop-motion animated cows, each with her own personality. Who ever thought a group of animated cows could get so… political?! Check out the trailer for The Wanted 18 as well as a short “Making Of…” video below. You can get the screening dates and times here. Torill Kove, Oscar®-winner for 2006’s The Danish Poet, returns with her new animated short, Me and My Moulton. Three Norwegian sisters want their parents to buy them a bike so they can be just like all the other kids on the block. But their family is… different. You’ll be charmed by this adorable yet thoughtful take on standing out and fitting in. Me and my Moulton will be screened as part of the Short Cuts Canada Program 6 (screening dates and times will appear on the site soon). In The Weatherman and the Shadowboxer , acclaimed artist Randall Okita puts his considerable talents in sculpture and moving image design to use to create a hypnotic, technologically-innovative portrait of two brothers carrying a dark secret from their past. 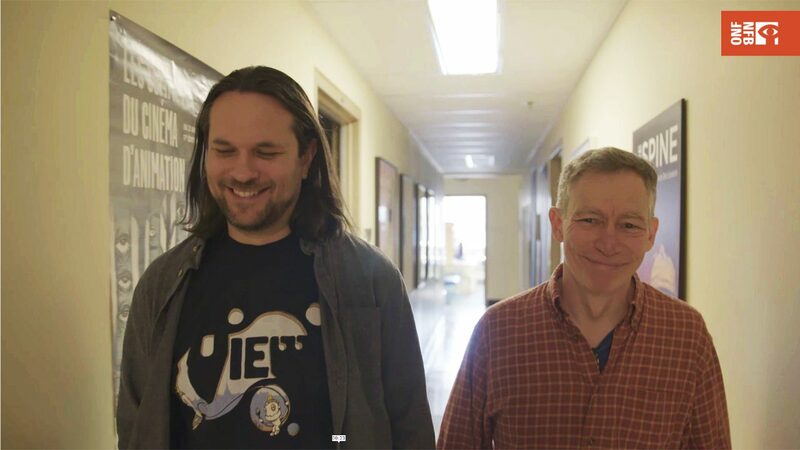 The Weatherman and the Shadowboxer will be screening as part of the Short Cuts Canada Program 3 (screening dates and times will appear on the site soon). Then there’s the short film CODA, which draws on advanced digital technologies to create an entirely new kind of dance film. Using motion capture (MoCap) techniques and particle processing, virtual dancers become free of their corporeal forms. In this visually stunning film, the dynamic movements of real dancers are transformed into images of motion in its purest form. The trailer for CODA is coming soon. This film will screen as part of the Short Cuts Canada Program 1 (screening dates and times will appear on the site soon). Did you know that we’ve restored two ground-breaking works to commemorate the centenary of Norman McLaren’s birth in 2014? In 1951’s Around is Around, McLaren created a 3D effect with cathode-ray oscilloscope patterns and images of spherical shapes evolving in space. And in O Canada, frequent McLaren collaborator Evelyn Lambart (who celebrated her own centenary recently, too) created an experimental, stereoscopic trip through the Canadian countryside that makes use of the “travelling zoom” invented by Norman McLaren in 1937. Both of these films have been lovingly restored, including a remastering of colour and soundtrack, for today’s audience. Both films will screen in the Short Cuts Canada Program 1 (screening dates and times will appear on the site soon). A special event: free outdoor screening with live music! On September 7, 2014 you’ll be able to catch a free program of outdoor screenings, accompanied by live music, as part of TIFF’s pedestrian walk on King Street West, “Festival Street.” This program features seven short McLaren films with original scores written and performed live by Toronto pop/psychedelic/experimental group Absolutely Free. McLaren’s films will be projected onto a wall especially painted for this event, which is presented by TIFF in collaboration with the NFB. We’ll have more updates for you a few short days before the event—including the films to be screened and possibly a surprise guest or two! Through our Filmmaker Assistance Program, the NFB provides assistance in the form of technical production support to emerging filmmakers across the country. 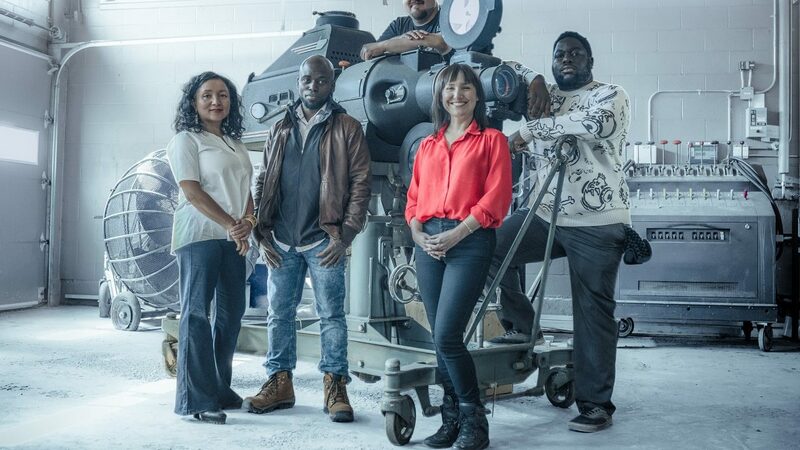 A few of these talented creators will be premiering their films at TIFF this year: Jeffrey Zablotny’s Chamber Drama, Amanda Strong’s Indigo, and Wayne Wapeemukwa’s Luk’Luk’l: Mother. 3D | Alanis Obomsawin | Animation | Canadian cinema | Canadian festivals | Canadian films at TIFF | CODA | documentary | festival season | Festivals | film festivals | Me and My Moulton | Norman McLaren | screenings | The Wanted 18 | The Weatherman and the Shadowboxer | TIFF | TIFF 2014 | Trick or Treaty?